The Reds and Brewers conclude their 2018 season series tonight with game 3 of the current set at Miller Park. With a win, the Reds can record a series victory over the Brewers and pull to an even 3-3 on their current road tripÃ‚Â before moving on to Miami for 4 games to conclude the road portion of their 2018 season.Ã‚Â Despite losing to the Reds Tuesday, the Brewers remain the top NL wild card team, 3.5 games clear of the #3 team, Colorado.Ã‚Â Game time tonight for the Reds and Brewers is once again 7:40PM Eastern. Gio Gonzalez came to the Brewers on August 31 as part of the Washington Nationals belated fire sale.Ã‚Â Tonight will be just his third start for the Brewers. He has done quite well in first 2; but, as the cliche shouts, “small sample size!”.Ã‚Â For the 2018 season, Gonzalez has been marginally a league average starter with a 4.18 FIP in 29 starts. Over the last month he has posted a 3.74 FIP in 5 starts (27.0 IP) but allowed a troubling 4.00 BB/9 and experienced 2 blowout games.Ã‚Â While with the Nationals, he faced the Reds on August 4 and was roughed up for 6 runs (5 earned) in just 3.2 innings of work. Beneath the glitter of Michael Lorenzen’s first start since 2015, Tuesday was essentially a bullpen night for the Reds. This said, no one except Lorenzen and Sal Romano pitched more than an inning; and, everyone but them should be available for at least an inning tonight. The Brewers pen was called upon to cover 5.1 innings on Tuesday and used 5 relievers to get the job done.Ã‚Â Incredibly no one who worked out of the pen for the Brewers Tuesday had been used on Monday (September baseball, catch it!). Nobody worked more than 1.1 inning last night. The big hammer Josh Hader got the night off. There should be no bullpen issues for Craig Counsell tonight. José Peraza is the only player in the Major Leagues with at least 174 hits, 31 doubles, 13 HR and 23 stolen bases. Scooter Gennett is 1 of only 3 players to produce at least 49 HR and 185 RBI in his first 2 seasons with the Redlegs…he is trying to become the first player in franchise history to reach those numbers while hitting at least .300. Counting tonight there are 10 more bottles left on the wall for the 2018 Reds. As a team the Reds have nothing left to play for. After tonight all the teams remaining on the Reds schedule will be in the same boat as the Reds.Ã‚Â However many individual players have a lot riding on their performances over the remainder of the season. 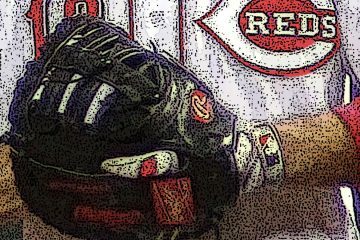 Perhaps it’s formal individual recognition for a job well done in 2018, a chance for a better contract or in a number of cases to just secure their employment with the Reds or some other organization come 2019.Ã‚Â Such are the situations which can give some bit of meaning to these final games for we fans. Savor them as the off season looms. For me, after tonight there are no more preview bottles left on the wall for 2018. Take care; be healthy. See you around the RLN comments section and on Twitter. As alwaysÃ‚Â GO REDS! 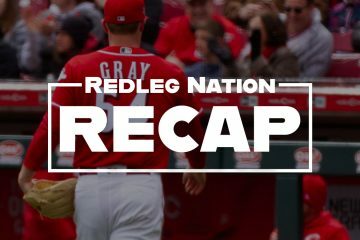 [Recap] UPDATE: The Cincinnati Reds are still playing (and losing) baseball games. It has to be really hard for you and your buddies to do what you do for the rest of us.While we all are big time Reds fans I can honestly say I couldn’t do what you do with the class you do it with.Hats off to you and the rest that wrote for the nation.Great job and one of these days we will have a winner for all of us to get excited about.Again thanks so much.Go Reds. Our thanks to you and all the gals and guys that keep coming back for more. You energize us! Kudos, Jim, for all of the great game previews this season. “Happy Harvey Day” was a thing in New York, once upon a time…. It’s not just the players with things to accomplish in the last 10 games…. After tonight, the Reds have @MIA, KC, PIT to finish the season. Get a win tonight, go 7-2 the rest of the way, and the team finishes 73-89. Unlikely, but not impossible. If that happens, Riggleman is almost certainly coming back as manager, “interviews” or no interviews being held after the season. Let the overmanaging in the Quest to Avoid 90 Losses continue. If 73-89 brings Riggleman back next year then I’m rooting for the Reds to lose at least 3 more games this year. I’ve seen more than enough of Interim Jim. I don’t carry if it’s Barry Larkin or Barry Manilow or the ghost of Barry Goldwater next year I want no more of Interim Jim, his quick hook on developing pitchers, his (way) over use of the bunt and his complete blind spot fora number of young guys, especially Dilson Herrera. No mas. On the other hand Big Games James (aka Jim Walker) gets a tip of my Reds cap for hanging in there all season on the previews and post games. Thank you Jim and all the RLN writers. You guys (and ladies) are amazing. Jim. let me jump in with everybody and give you a great big ol’ thanks for all the time and effort and enjoyment you have provided us with. Even tho I disagree with some of your ideas at times. Your opinion is one I always take very seriously. I look forward to a better season next year and reading your articles.All the best to you my friend. #Bunting as a strategy for a run in a top 10 park for HRs this season. Good job Jim. Like your previews very much. See you in the comments board. Take care. Hey, good job on all these, The reds will lose tonight but sweep KC and MIA, so…..
Did I just hear Welch say has had bad luck tonight, I thought it was more like bad fundimentals. Three run homers get you beat but when you give up two of them well.Guess one could argue our offense didn’t support Harvey but they have only scored 9 runs in the last 6 games + 5 innings tonight so nobody else has got any help either in the last 7 games.Of course in 4 of those games we have faced lefties which does pose a problem. Cookie time for the good guys.Brew Crew with a 7 run lead.Hit it if you can. Missed that one about cookie time,Guys are already on the plane and ready to go.Not interested in cookies.Don’t blame them.